Goal Play! arrives at Northwestern Medicine in Chicago | Goal Play! « Goal Play! crosses the Pond! The team-building leadership lessons from Goal Play! 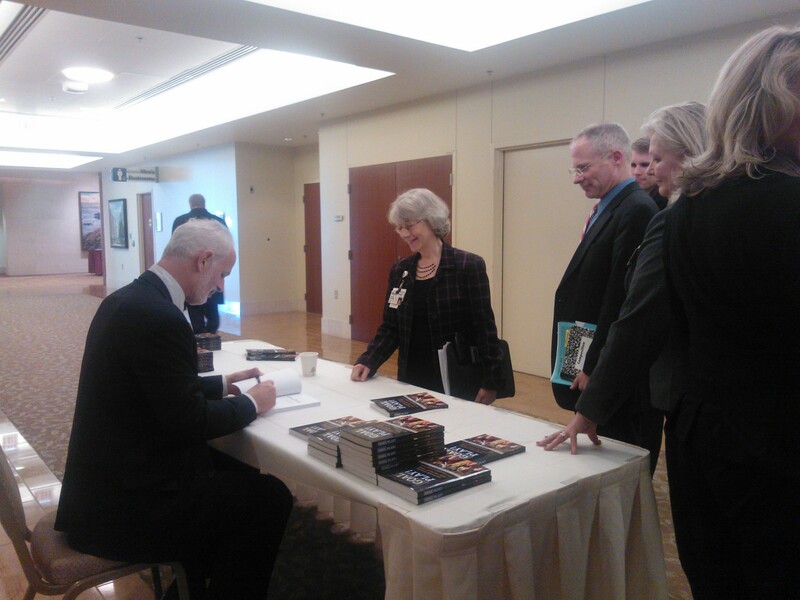 were warmly received today by senior clinical and administrative leaders at Northwestern Memorial Hospital in Chicago. Effective September 1st, 2013, Northwestern Medical Faculty Foundation (a practice comprising more than 650 physicians and healthcare professionals) joined with Northwestern Memorial HealthCare to form one united health system (Northwestern Medicine) with a shared mission of becoming one of the nation’s top academic medical centers. We spent time today discussing the attributes that would make the successful implementation of this vision more likely, drawing on the lessons from the book.